Did you know that Nextgenscience.org offers a monthly NGSS Newsletter? Well, they do. 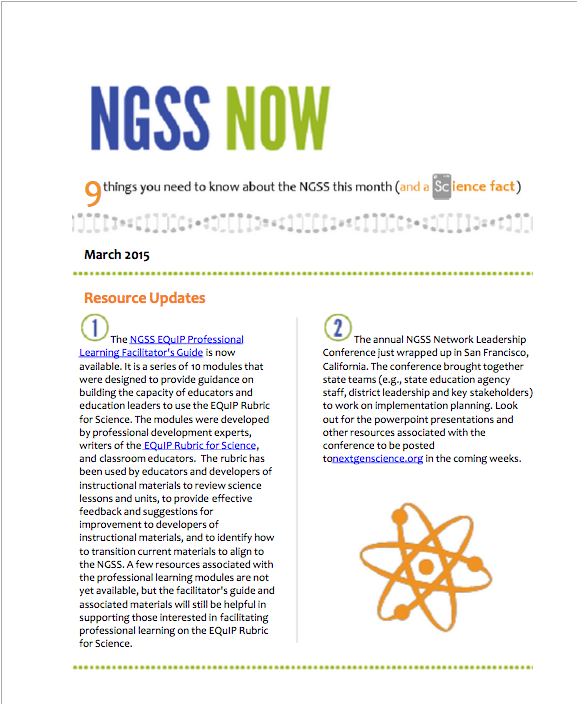 Click HERE to read the March issue of NGSS Now and click HERE to sign up via email.